« Meiomi Pinot Noir 2017: amazingly successful, but how good is it? 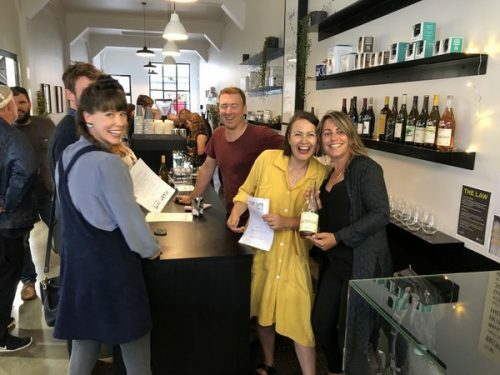 On Saturday night, travelling companions Mel Brown, David Brookes and I popped into a natural wine bar pop-up First Date at Cupple Coffee in Hastings, Hawkes Bay. 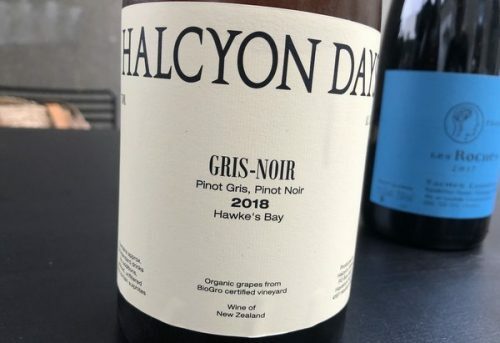 This was billed as Hawke’s Bay’s first natural wine bar event, and so we were really keen to check it out. 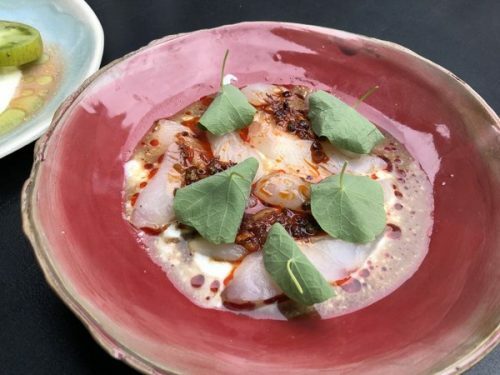 Food was from Restaurant Chimera, who are Auckland based but specialise in pop-up events. It was really good, although they’d run out of a few things by 7.30 pm. 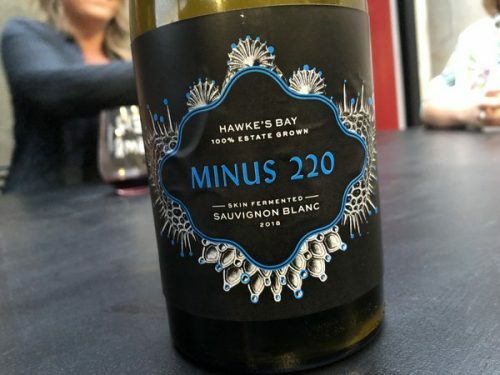 The wines were a mix of natural things from Hawke’s Bay, plus some other Kiwi naturals, plus some international references. We drank really well. 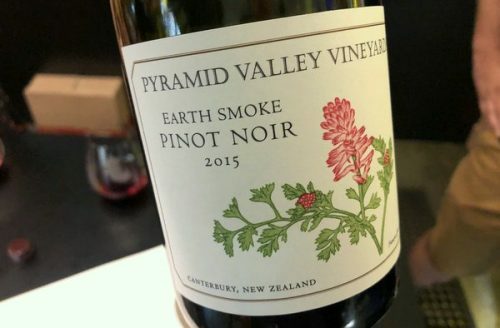 New Zealand needs a stronger natural/authentic wine scene, and it’s good to see it emerging. 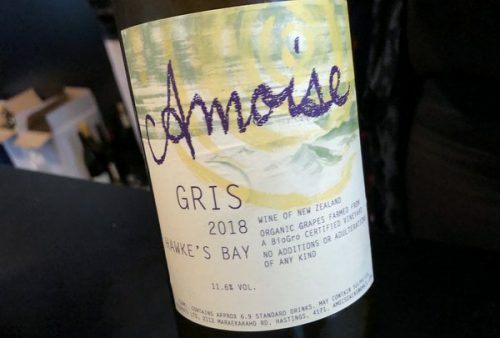 This Pinot Gris is from Amy Farnsworth, and it’s made with no added sulphites. It’s a skin contact wine and it’s delicious and expressive. Organic. 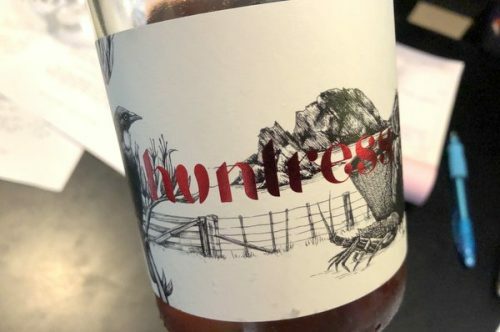 The Huntress is made by Janine Rickards, winemaker at Urlar in Wellington Wine Country. Janine likes to hunt. 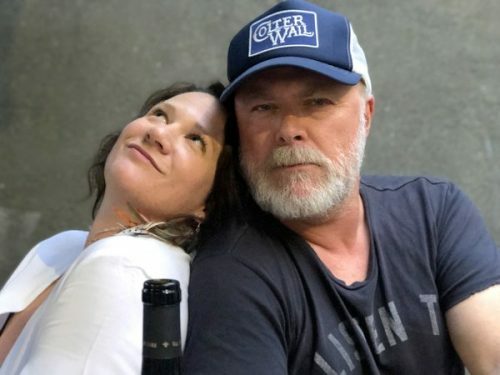 This, her Huntress 2018 ‘Waikura’ Rosé, is a relatively dark wine with lots of intense fruit. Lots of colour from whole-cluster ferment. 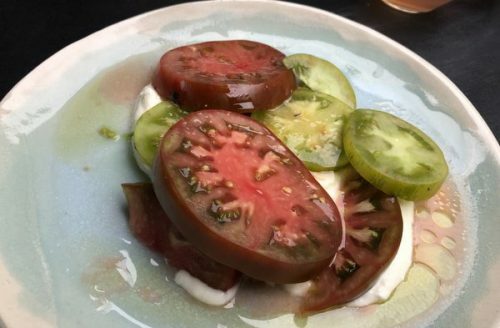 Impressive and food compatible. Halcyon Days: a collaborative effort from husband and wife team Amy Hopkinson-Styles and Ollie Styles. Somewhat coloured, cloudy rosé style with lots of perfume, grainy intensity and some structure. Delicious stuff. 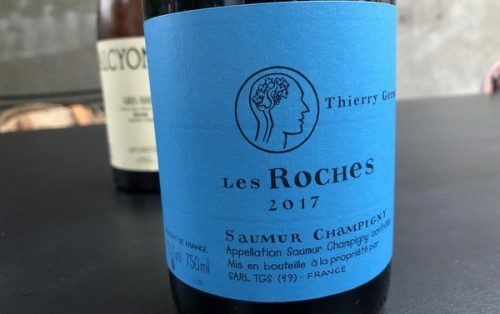 This needs little introduction: so intensely juicy, grainy and smashable with incredible fruit intensity. Really lovely stuff. Mel and Brookesy. Top travelling companions.